PC and Laptop repairs for Crawley, Horley, Horsham, East Grinstead and surrounding areas. Virus removal, software and network configuration, slow machine and much more. Home/on site service available at no extra charge. No fix, no fee and no call out charge for local area! Hi, my name is Darren, I am the owner and chief technician at Gatwick Computers. 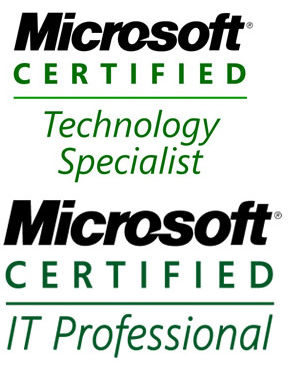 My qualifications include MCITP (Microsoft Certified Information Technology Professional) as well as Comptia A+, N+ and Security+. I have over 10 years experience within the IT industry and have recently been made aware of the need to offer a home repair and small business service within the Gatwick area at an affordable price. At Gatwick Computers our aim is to give honest impartial advice. Our Vision is to offer the best possible products and services at affordable prices to our customers, always exceed customer expectations resulting in complete customer satisfaction. Our mission is to provide the highest possible quality at the right price. Our commitment to offer nothing but the very best is reflected in our vision & mission statements. We exist because of our customer and we are very grateful to our customers who have made us what we are today. We always strive to take our organization to the next level so that we can serve our customers even better and continue to keep them fully satisfied.